Upon successful login the user will receives an sms message the contents of which contain a random generated 6 digit secure code. The user enters the secure code, if the code entered is correct and the maximum time frame (5 minutes) has not expired the user will be redirected into the account. As a security measure, when enabled two factor authentication is required everytime the user attempts to login, regardless of the browser and/or location. Two factor authentication is enabled on the user level, allowing the administrator discretion over which users you require to use it. 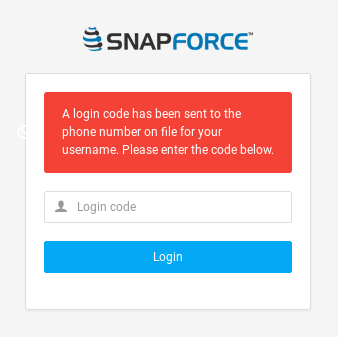 In order for two factor authentication to be enabled the user must also have a mobile number entered in their user profile.